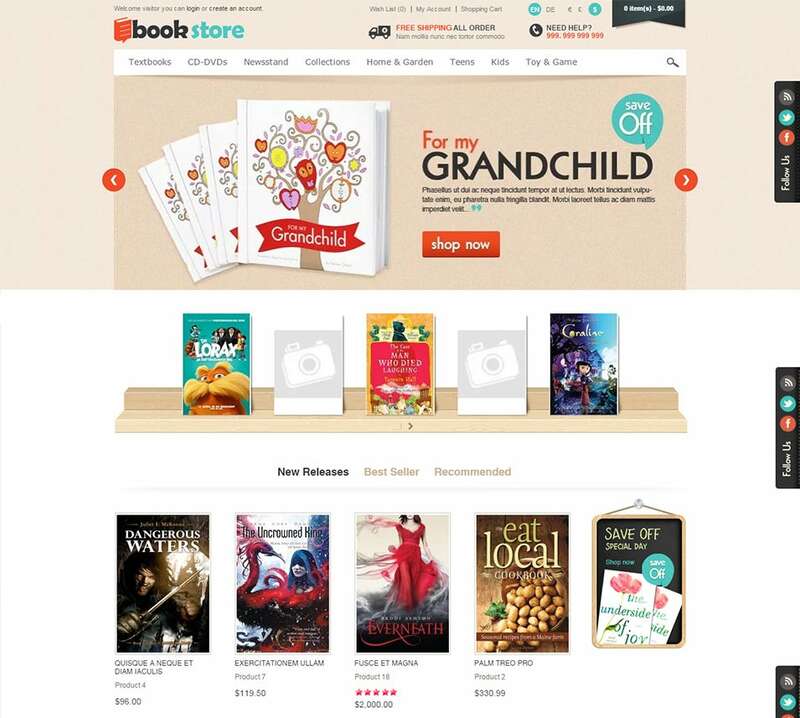 Any bookstore website is characterized by its accessibility options and extents of organization. 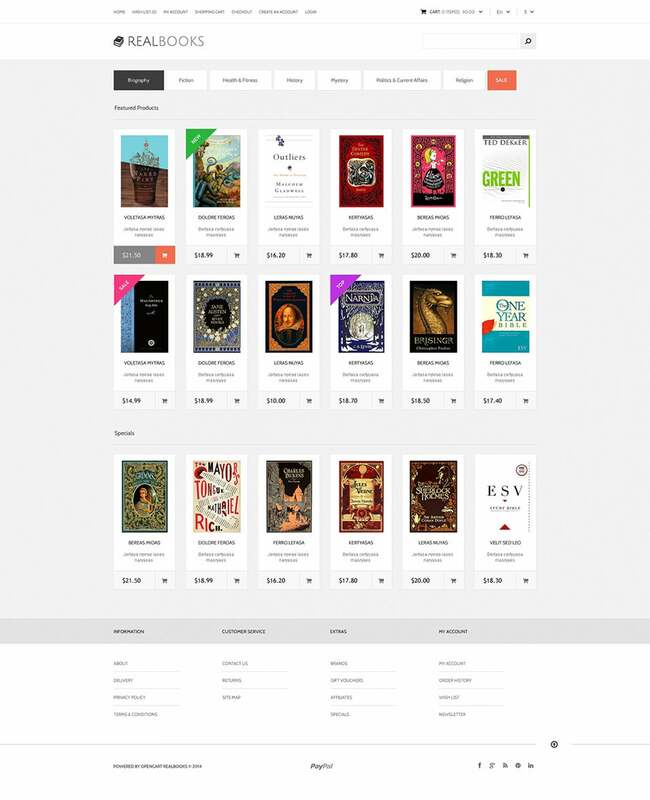 These Opencart Bookstore templates offer the finest qualities of both. 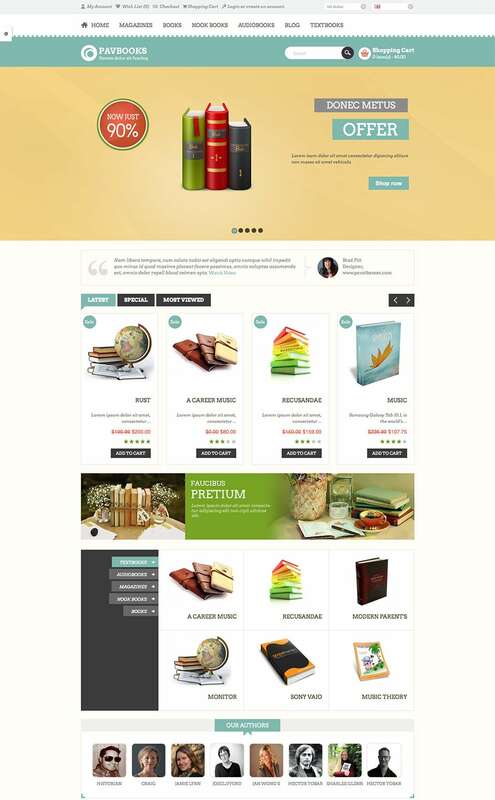 These Responsive Open Cart templates are generally HTML5, CSS3, jQuery coded. They are also known to feature sortable gallery formats like accordion, carousel, and slider. There are easy and convenient slideshow options for the ease of access of the users. 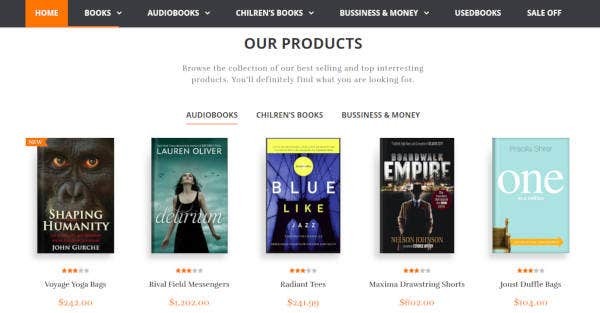 For a bookstore it is mandatory to have a trusty payment gateway to be linked with the website which can be found in the Opencart bookstore templates. These payment options feature more commonly used currencies like the USD, EUR and GBP along with major credit and debit card options. There are several other additional features that make them the apple of the eye of the developers, which include the Back to Top button, Google Web Fonts, Tooltips, Social Options, Dropdown Menu, Sample Content, Favicon, Live Search options, Google Maps, Cloud Zoom Scrip Integrated, Categories Accordion, Drop Down Cart, Easy Checkout, Multiple Tabs, Flexislider Slideshow, Vertical Categories, Google Web Fonts, Cloud Zoom options, Carousel Products (on/ off) and much more. 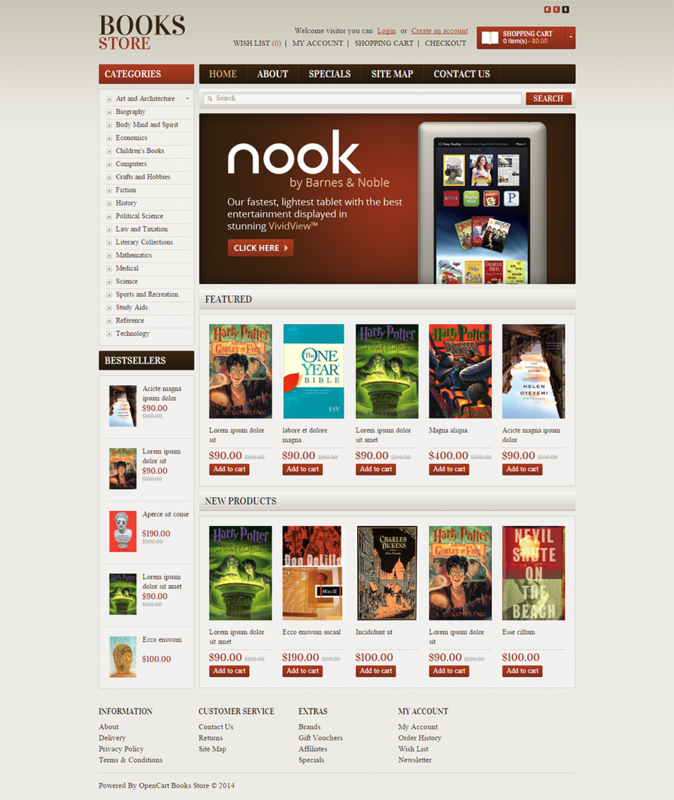 Most importantly, these themes are completely responsive and some even have retina display. 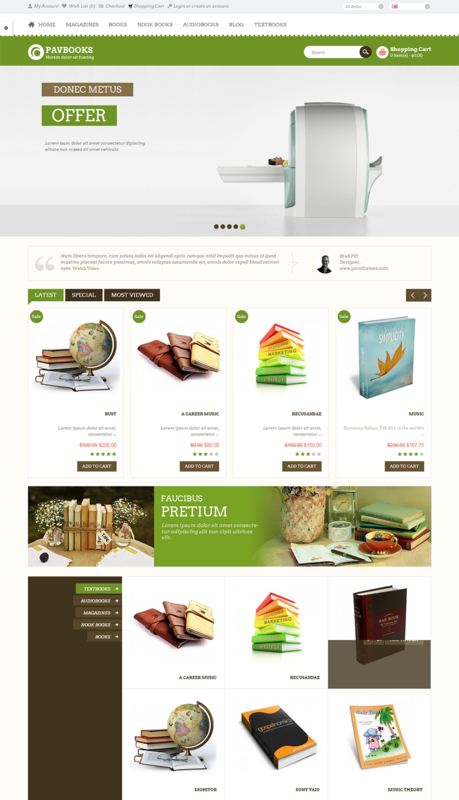 They flaunt a minimalist style which is easily customizable with multiple color and layout options. 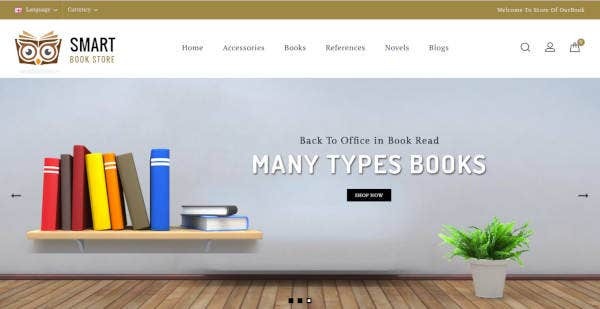 They extensive customizability of these templates allows them to be developed as online art galleries, photography websites, fashion websites and of course miscellaneous types of blogs. 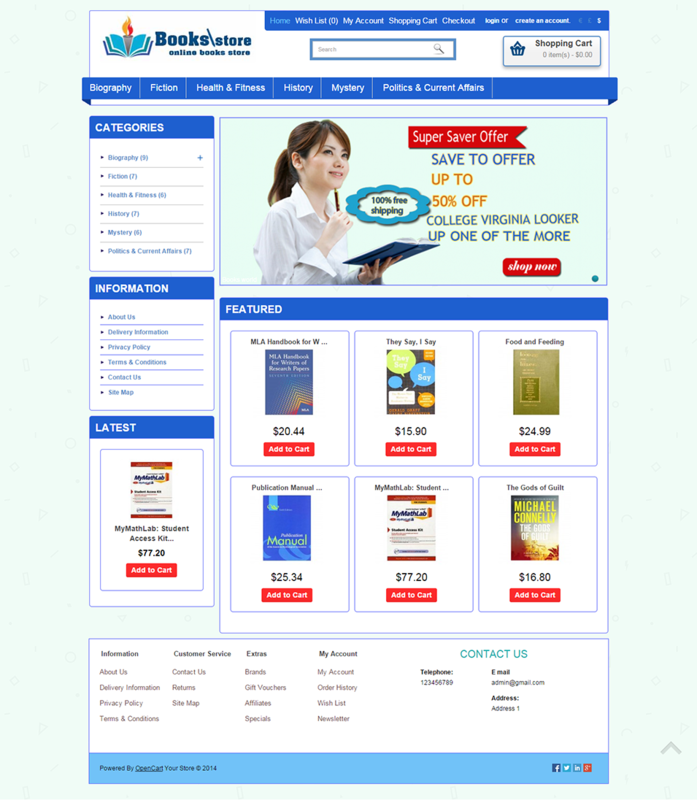 They are SEO friendly and amiable to banner, slideshow and language changes. 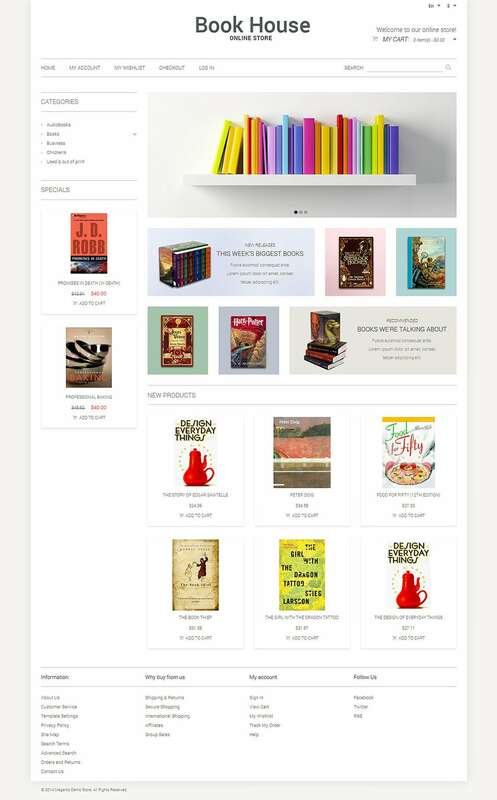 So when it comes to creating the best online bookstore the Opencart bookstore templates are the best opportunity for any website designer.